Exhibition: 7 July - 9 September 2018. 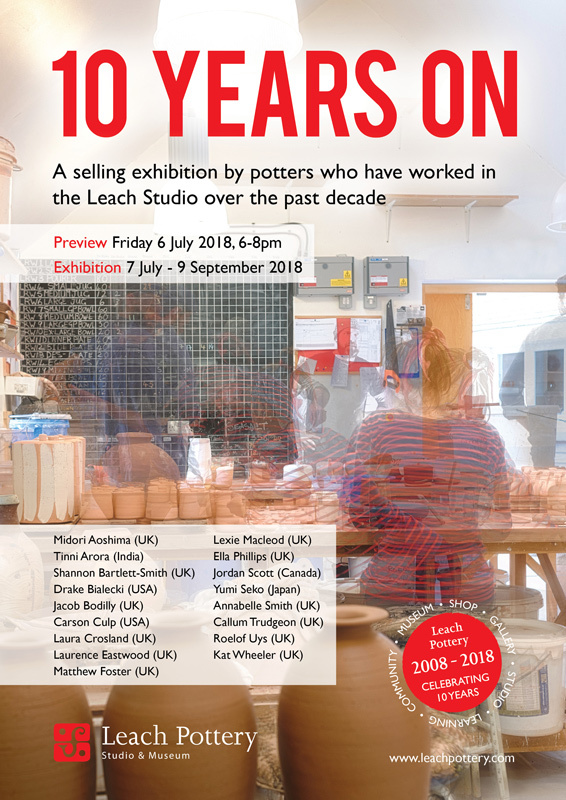 To complement its 10 Year Celebrations the Leach Pottery presents ‘Leach Pottery Studio: 10 Years On’, an exhibition featuring potters who have worked in the Leach Studio since opening 10 years ago. The Leach Pottery re-opened as a Museum and working pottery in 2008, after closing its doors in 2005.